When I decided to become a yoga teacher, I thought I’d finally be disciplined enough to go to the studio every day. 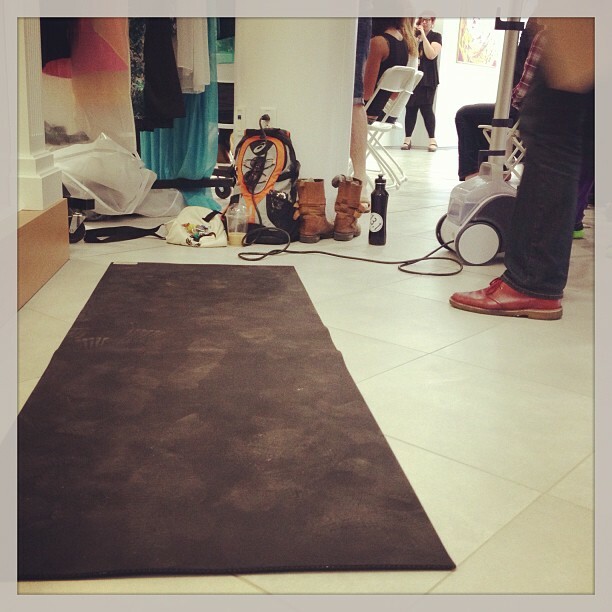 I didn’t think I’d be toting my mat everywhere in the hopes that I’d find an empty corner where I could do at least a few Sun Salutations and maybe a Pigeon. Practicing in public reminds us that there is no escape, only respite. Whether we like it or not, we are a part of this crazy, busy, crowded, noisy, violent, and imperfect world; isn’t that why we search so hard for peace, and become so euphoric when we find it? Perhaps what we should remember is that this peace, this euphoria, isn’t unique to the yoga studio. It doesn’t exist only in small quantities for monks or yogis in ashrams to hoard. It can be found in the middle of chaos, in the middle of war, in the piles of unsorted laundry, in that empty corner between the catering table and the trash can. Whether we have 75 minutes or five, breathing deeply does the body good. For the last five weeks, I have been nursing a broken toe. This has left me unable to do much yoga, or any running at all. 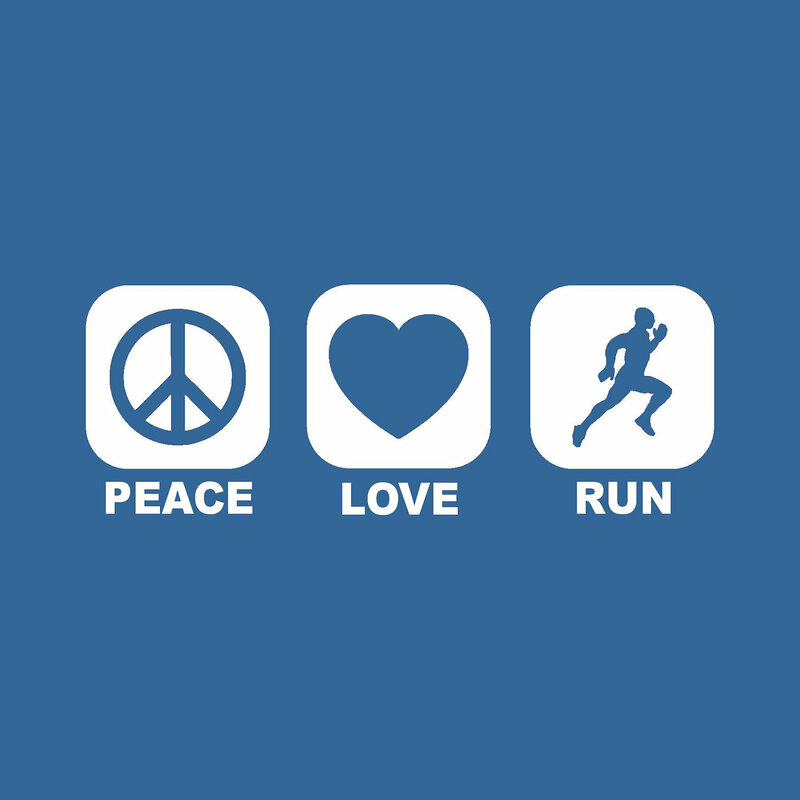 Both yoga and running are for me freeing, empowering experiences that remind me of my strength, endurance, and flexibility; each day, I grow more anxious to return to my usual routine of running and yoga. When I heard about yesterday’s Boston Marathon bombing, I felt my heart sink. So many runners dream of finishing a marathon — a feat that I still dream of — and for a runner, there is no sweeter sight than the finish line: a place full of adoring fans, colorful banners, and prideful tears. Instead of tears of pride, however, yesterday’s marathon ended in tears of confusion, sadness, and pain. My heart is heavy for all the runners, family members, friends, race officials and volunteers that were present for such a horrible event; my first marathon will be run for you. Loving one’s body is one of those things that should be easy, but thanks to society and popular media, rarely is. Think about it for a second: when was the last time your body totally crapped out on you and didn’t recover? Sure, you may have broken a bone that didn’t heal quite straight; you might have lost a bunch of weight, then gained some (or all) of it back; you may even have had some crazy surgery that changed your body forever (like, oh I don’t know, had eleven of your vertebrae fused and two stainless steel rods screwed into your spine). But what happened this morning? Probably, you woke up, got yourself out of bed, made breakfast, ate it, then got yourself to work (or school, or maybe even a yoga class if you’re really lucky!). All those things are pretty amazing if you think about it. We are, for the most part, self-sufficient beings that can move, eat, breathe, talk, sing, dance, and heal — and most of this is done automatically! And even those who aren’t self-sufficient usually have someone else to care for them (that’s right, we have physical ability and health to spare!). Maybe our bodies don’t always look quite the way we want (or, more accurately, the way others want), but they sure do a lot for us. So perhaps rather than bemoaning everything that’s “wrong” with our bodies, we should simply say “thank you” every now and then. Eventually, we’ll might even see our bodies for what they are: a crude physical rendering of who we are and what we do. This may seem like an oxymoron: love your body without liking it? Here’s why it’s important, and how to love your body. If you are trying to become healthier, more in shape, or lose weight, it is imperative to love your body and yourself in order to stick to a regular healthy plan. If you don’t have love for yourself, why would you be nice to yourself? If you don’t love your kids (you may not like how they behave all of the time, but you still love them), then you wouldn’t be nice to them. When you begin to foster a deep love and care for your body, you will WANT to do good things for yourself. You’ll want to exercise, eat healthy, and take time for yourself. Just because you love your body doesn’t necessarily mean that you like the way you look. Your body can be a work in progress, and you can still be trying to lose weight or get tone, and love your body.